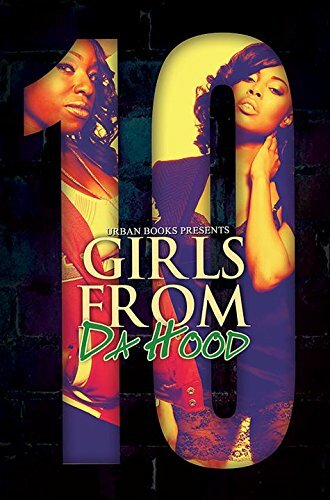 Urban Books’ popular Girls From da Hood series is back, bringing readers more dramatic tales about the lives of some tough, resourceful women who can hold their own when things get rough on the streets. Come witness what happens when a set of money plates fall into the hands of a local street hustler from North Philly. In this epic tale of deceit and suspense, the hood is flooded with counterfeit money, fake love, and deceptive friendships in pursuit of that almighty dollar. Sani, a well- known female gambling house owner, is at the top of her game, but after she decides to inject phony currency into her business, all hell breaks loose. Guns are drawn and opposing forces take sides. Luckily for Sani, her father and her brothers are well versed in the operations of the underworld. With millions of dollars still to be claimed, all the wolves come out, and the hunting season begins. Will the love of that mean green shatter families and friends, or will the players prove that money can’t buy everything?